Tucked away in the relatively undeveloped southeastern corner of Mauritius, a Blue Bay vacation provides guests with a quiet spot to relax that's still within close distance to the country's airport. As the name suggests, the bay boasts especially dark blue waters, which contrast with the much brighter waters surrounding it. Beyond the shore, a beautiful and geographically important reef protects the coast from waves. With more than 80 percent of the reef still alive, it's an increasingly rare example of thriving coral life (many of these fragile ecosystems are in decline around the globe). In the surrounding area, traditional village life and tourist activities meet to make for an interesting cultural combination. Blue Bay is in Grand Port District. 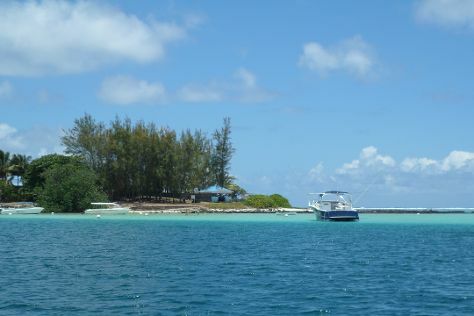 Use our Mauritius trip planning tool to plan your trip to Blue Bay and other destinations in Mauritius.